Arthur Maulet played over 960 snaps in 2016, the second most-used player of the team. 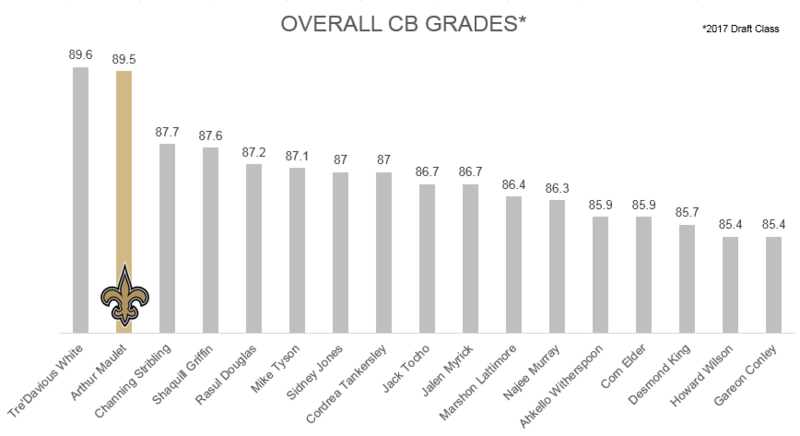 Maulet was the most targeted cornerback of the 2017 draft class, with 93 throws in his direction but only allowed 46 receptions (49.5 percent catch allowed). He only allowed two touchdowns, while registering 11 pass breakups and two interceptions, as well as five sacks over the course of the season. His 9.1 yards allowed per reception ranked him second in deep cornerback draft class.